Margaret River is one of my favourite parts of the world. It combines stunning scenery, beautiful beaches along with some of the most amazing wineries and some really incredible food. I can’t help but gush when I talk about it. It is an incredible part of the world and I feel fortunate that relatively speaking it’s in my backyard. In March this year for GG’s birthday we headed down south for the first time in a really long time and it was wonderful. We ate, we drank….. we ate and drank some more. 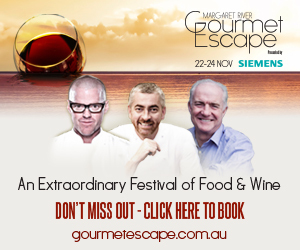 So I’m sure you can appreciate that I’m pretty excited to be heading along to this year’s Gourmet Escape. The second time it’s been held it promises to be bigger and better and will showcase an unparalleled line up of over 25 international, Australian and local food & wine celebrities including Heston Blumenthal, Rick Stein, Alex Atala, Sat Bains, Neil Perry, Adriano Zumbo and more in over 15 unique events set in stunning locations across the Margaret River Wine region. Roll on November 22nd to 24th, it’s going to be amazing! My focus is going to be on the Gourmet Village, which runs on Saturday (11am to 5.30pm) and Sunday (11am to 5pm) at the lovely Leeuwin Estate. It will have cooking demonstrations, wine tastings, masterclasess, Q&A’s and panel discussions with all these celebrity chefs! Other key attractions include the Siemen’s Chef Theatre, Australian Gourmet Traveller Chef’s Table, Gourmet Traveller WINE Theatre, From Paddock to Plate and Kid’s Cooking Classes! Something for everyone. If you check the schedule here and the list of exhibitors here, you will not go hungry or thirsty at this event. I cannot wait! Now along with the Gourmet Village there are also some amazing long lunches, bbq dinner on Smith’s Beach and exclusive degustation dinners – it’s an incredibly impressive line up. 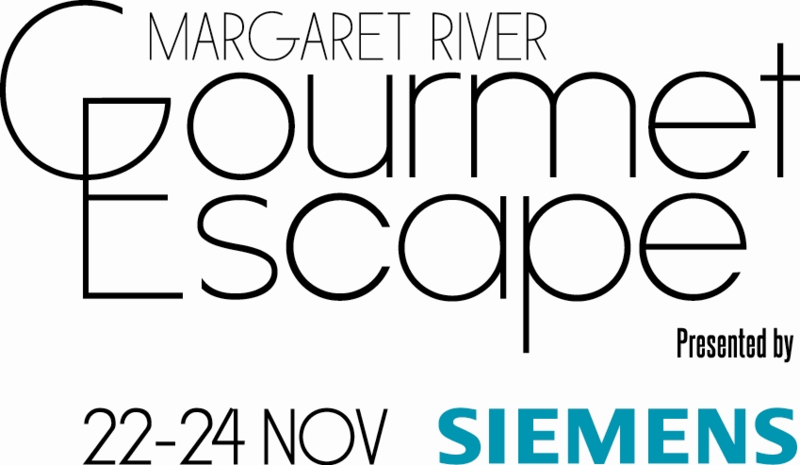 So November isn’t far away now and if you are thinking of heading along then you can use this discount code ‘ESCAPE’ to get 25% off the ticket price for Gourmet Village Sunday Session ticket prices on the Sunday or 10% off the Gourmet Village Sunday Session Family Passes. Bargain! Only available until midnight on Friday, November 1st. Just click here to go to the ticket website.